Did you know that Texas has the 5th highest average monthly electricity bills in the country? That's right. With the monthly bill at about $126, it's safe to say many Texas residents are digging deeper into their pockets to keep their homes and businesses powered. Unfortunately, not every Texan has deep pockets. In fact, with most households living paycheck to paycheck, there are a lot of people struggling to foot their bills. The good news is there are several steps you can take to cut your electricity, and in this article, we're giving you the complete lowdown. Naturally, the first step to reduce electric bills is to know where the energy is going. In other words, you need to call in a professional to conduct an energy audit. Perhaps you have a couple of appliances that, unbeknownst to you, are guzzling power. Or a faulty connection is causing an electricity leakage, so you're paying for electricity that you're not even consuming. An energy audit will reveal such inefficiencies. If you don't like the idea of hiring a professional, you can use the Department of Energy's Home Energy Yardstick. Switching to LED bulbs is one of the simplest and quickest change you can make to substantially reduce your power bills. Short for Light Emitting Diodes, LED bulbs with Energy Star rating use up to 80 percent less energy than traditional incandescent bulbs, and can save you up to $75 annually. This might not sound like much right now, but 10 years down the road, LEDs would have saved you close to $1000! True, LEDs cost more than traditional bulbs, but the return on investment is too impressive. Besides consuming less power, you won't worry about changing them often because they have a long life. We lead busy lives, often working long hours to make ends meet. So it makes sense to invest in appliances that make our lives easier, such as dishwashers, microwaves and washing machines. These are worthwhile purchases, but overusing them will easily show on your electricity bills! The gist of all this is you have the power to cut your power consumption. A few lifestyle changes here and there will result in reduced bills. In the cold of the winter, on-demand hot water is a basic need in virtually all Texas households. Yet, hot water is the biggest energy consumer in homes. 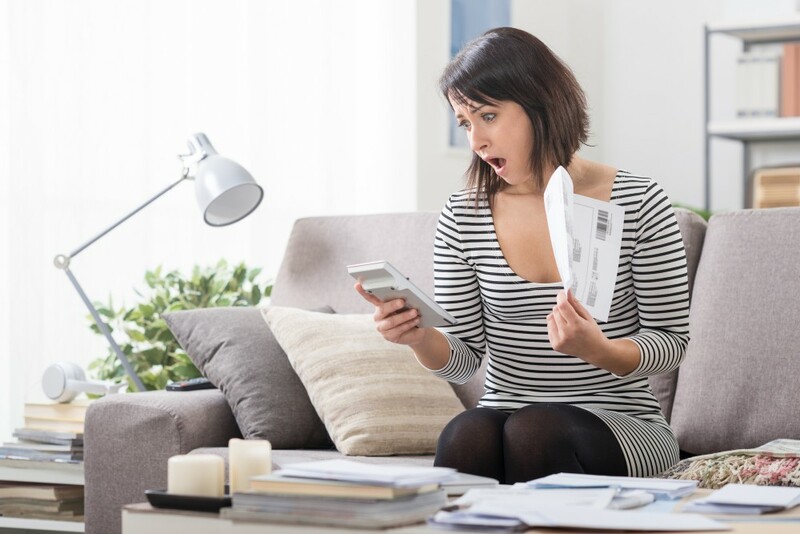 Even though most water heating systems consume electricity when actually dispensing hot water, an undetected hot water leak could cause your bills to skyrocket. As such, it helps to inspect your plumbing often to ensure there aren't hot water leaks secretly blowing through your electricity. Alternatively, you can buy a water heater that uses natural gas instead of electricity. Generation Xers can argue that smart home technologies are a millennial thing, but the truth is millions of people are embracing smart home tech. In 2017, Americans collectively spent over $1.4 billion on connected home tech, up from $230 million in 2013. Besides making your home "hip" and making your life a couple of worlds easier, smart home tech is among the most effective ways to cut electricity bills. If you're concerned that heating and cooling is the primary culprit behind your high bills, look no further than a programmable thermostat. This device enables you to set various temperatures in different rooms, meaning rooms that don't need a lot of cooling during summer can be set to a lower level. Is lighting your main concern? Don't worry. There is a solution for that, too. With automatic timers and motion detectors, your lighting is effectively automated. No more "I forgot to turn off the lights" kind of excuses. If the motion detector established that there is no person in the room and the lights are on, count on it to switch them off. Of course, these devices don't come cheap. When investing in smart home tech your objective is to spend less money on electricity bills in the near future. Apart from high electricity bills, are you concerned about climate change? Yes? Then installing solar panels will help you kill two birds with one stone. Solar energy is clean and renewable, and can cut your bills to $0! Well, maybe not exactly zero because the solar panels and other necessary equipment will need ongoing maintenance, but you will see a phenomenal difference. If you install solar panels instead of connecting your home to a solar power grid, nobody will be sending you any power bills! The need to save a buck combined with a growing trend to DIY everything are some of the reasons you may want to fix electrical issues around your house. DIY'ing electrical issues is inherently dangerous. And even if you fix an issue without getting yourself electrocuted, there is a real chance you'll make faulty connections that will lead to that issues we talked about earlier in the article: leakage. When there is an electrical issue, it's crucial to call in a professional electrician. Yes, the service will cost you money, but a professional is able to identify issues you can't, as well as make repairs that will help make your home more energy-efficient. Besides air, power is probably the next thing we can't live without. From the hot showers to living room entertainment, electricity makes life easier. But for most Texans, it's all fun and games until the electricity bill shows up! Luckily, as we have demonstrated, there are effective measures you can take to reduce your consumption and pay less for electricity. Got electrical problems you need fixed? Get in touch with the pros.